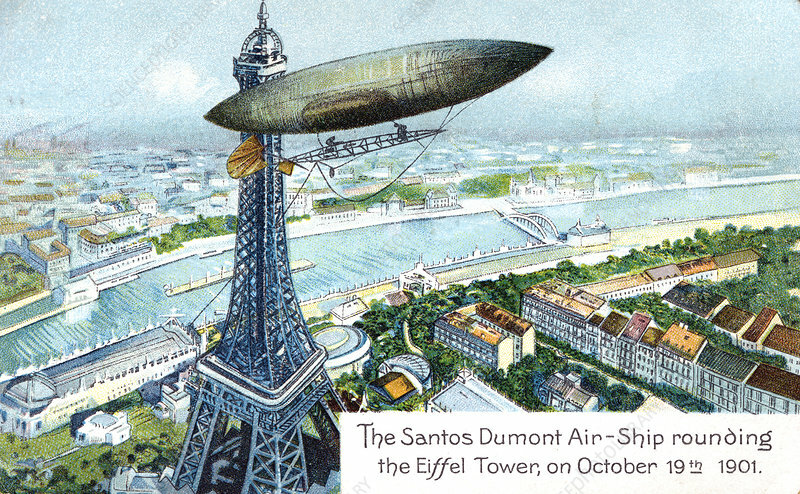 The Santos Dumont Air-ship rounding the Eiffel Tower, on October 19th 1901', (c1910). Brazilian aviation pioneer Alberto Santos-Dumont (1873-1932) in his airship (dirigible) No 6 rounding the Eiffel Tower, Paris, while winning the Deutsch Prize, 19 October 1901. From a series of postcards on aviation published c1910.